Value and Sell used gadgets to us - Instantly! If your model is not listed please click below button! Sell used gadgets directly to us in an environmentally and socially responsible way. 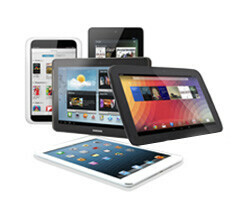 Instantly discover the value of price of used mobiles, laptops and tablets. We arrange free shipment pickup across 25,000 pin codes in India and prompt payment after verification. Now you can sell your second hand smartphones or other gadgets at the best price from the comfort of your home effortlessly. Encash your old mobile phone, tablet or laptop now! Procedure is relatively hassle free. Payment took a little longer to come, and I called Budli on phone number for it, but the response was very positive. I had asked for Amazon gift cards and they gave me a little more than what I had been promised. Samsung Z1 is the device I had sent and the price I got is quite good. Quite satisfactory. Very professional team and has a good responsive customer care support. They paid the price that was promised. It was really nice experience with budli team. I sold my Samsung galaxy on5 device through budli they give good price for my device compared to other online selling websites. Good experience selling my old mobile. Price what was quoted on website was given. One need to make sure of selecting the right condition of mobile while placing order. Removing one star for delay in payment by 3-4 days. Mr Prateek was very helpful in resolving queries. It was completely hasslefree , placed my order got a call for pickup , got regular email updates w.r.t progress of the order , received , checked ... Amount paid... Cherry on the cake is there price was really good w.r.t other competitors. Customer care is really helpful,would recommend to all. I sold two old mobiles on budli and got the payment thru PAYTM. Really a hassle free way to reduce your e waste and make money out of it. Good experience with Budli. Sold my dad's phone at reasonable price. Other competitors doesn't support pickup in Odisha. Came to know about them through Google, unexpectedly, they were very professional and quick in response and assessment, a recommended portal for safe and responsible dispose of electronic goods. Excellent, professional service. Received a good price for my device, higher than what was offered on other sites. Received additional benefit in opting for Amazon Pay Balance. A very good site to sell old electronic gadgets and also dispose these in an environmentally friendly manner. Good customer care.  Budli is great, and also there agents..good service .they are very helpful . ts trusted and responsive site. I hv sold my used Gionee mobile on this. I was afraid in starting but i was receiving updates daily through msg and mails and received payment in my account. If you sell your mobile be ensure that you have describe all problems of handset if any. Best customer care executive & prompt response! Very impressed with the process, so easy so smooth. You list your mobile to sell, you get approval n you receive payment. Was bit skeptical to send my mobile but their response n support was so prompt from the team, i had to trust n they didn't let me down. Would love to recommend friends n family. One of the best.. They give you a good price, the entire process is simple and they are a reliable, trustworthy service. No worries. Easy go, easy come. Don't hesitate. Very happy with the transaction with budli hope to deal again. The process was hassle free other than the courier pickup which was very late. I had a smooth experience selling my iphone 6 to Budli. Their offered price was one of the best and also they transferred the amount to my account in time as promised. Excellent evaluation technique, transparent process. Received money promptly for a used phone in fairly good condition. Good experience. Prompt communication and clear directions made it easy for me to sell my phone. Payments sometimes take time but they will surely pay you got good price for your items.. Great experience with them you must try. I have had several bad experiences with OLX, potential buyers are mostly discourteous and always haggling. This is when I turned to Budli.in. Sold my Xperia SP and the overall experience was amazing. A quick quote at their website, easy to enter details and the shipment is picked up in a couple of days. On inspection, they noticed some problems which were quite genuine and they send me a re-quote. I found it justified and I accepted the re-quote. Within a couple of days, I received my Amazon Gift Card which is what I selected as my preferred method of payment. No followups/reminders needed whatsoever. The only downside is finding a box, packing the phone with fillers and printing and pasting the shipping label which can tedious for first-timers. But overall really happy with their services. Would definitely use their services in the future. Had an amazing experience selling my old phone. Really impressed by your quick & hassle free service. Definitely recommend your service. Had a smooth hassle free experience with Budli. Sold my old tab for a decent price. The transaction was fast with prompt updates from the company. I have only wonderful things to say about my experience with Budli. Every step was clockwork and on time,value provided was best and payment was swift to my account. Really appreciate your organisation. You have earned a lifetime customer of Budli. I had a great experience transacting with Budli. They team right from the first step to the last handled the process professionally. I would definitely recommend Budli to my friends. It was an good experiences working with Budli. Keep it up !!! The overall experience in selling my phone with Budli was seamless and transparent. Also the price offered to me was better than it's competitors. Looking forward to continue with Budli in long term. Your service is very good and I hope you will continue this. "First sold my Samsung Tab then I sold my Moto G2. The do an honest valuation. Flipkart quoted rs 600 for Moto G2 during their exchange offer but Budli.in quoted Rs. 2000/-. It is better than olx. So overall happy with Budli." "Hi everyone.. I initiated a process to sold my iPad mini online and I found a portal Budli.in. They made the process easy and hassle free. My device has been picked up from my residence and after 24 hours I have received delivery message too from Budli team.Finally on the 3rd itself I got the promised amount credited to my bank account. I appreciate the speed & accuracy of the process. I would Like to do business with Budli again in future.. Thank you.."
Really satisfying experience in selling my first used product on Budli.in . The customer service has been quite good. I recommend this site to others too. The best site to sell used gadgets for best price. "Keep up the good work team, Best customer service which involves giving Customer a good first impression of the business, with a friendly greeting and helpful attitude, as well as a lasting good impression. I recommend Budli.in site to others too! Keep up the good work team. Had a great experience selling my old moto phone, the fund transfer was initiated without any delay! " The experience was really great. 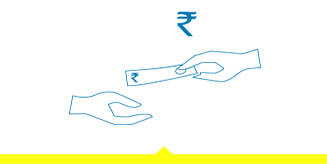 Received the quote for the item really fast & the fund transfer was initiated without any delay after confirmation. Easy, Safe, Smart & Eco-Friendly. Sold my Asus zen5 in Budli.. Very Professional people.. sales went through very smoothly.. I got good money out of my absolute device which is much higher than what was offered to me from local mobile shop. More Importantly, I found the whole experience of selling the phone very customer friendly, though there was some problem related to the courier company arranged by Budli. I sold my iphone 4s to budli and the process was smooth. Professional service and they informed me at all the stages. Got the amount transferred as soon as i accepted their re-quote. Highly recommended. It was great experience of selling my laptop to Budli!! The Local Scrapers were just paying me a nominal amount of 500 Rs for my fully Functional Laptop but budli not just priced is right but are also very professional in their dealings. Great job!! I am very Happy!!! I sold my Lenovo A6000 to budli and the process was seamless. Professional service and the informed me at all stages. Got the amount transferred as soon as I accepted their quote. Highly recommended. It was easy,simply great selling experience. I am actually not on FB Twitter etc. Only what's app person. Is there any other way I can do this. The Selling experience was really good .. and i am satisfied with the overall process. I am happy to have sold my old mobile through budli.in. They have a hassle free collection and assessment process. And finally a good price for your old phone. I sold my "7 tablet and the process was seamless. They revised the quote and after I accepted, the amount was transferred to my bank account. Keep up the good work. it was great experience in selling my phone @ budli.in , now thinking of selling my laptop also. I recently sold my moto G4+. 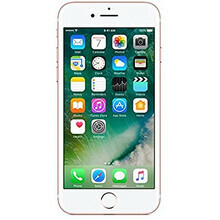 The website interface and phone characteristics identification procedure stands apart from the rest, at a substantially higher quoted price. keep up the good work. Budli.in is very reliable and convenient way of selling and purchasing old gadgets. I really appreciate the concept and the logistic of items by budli.in. good concept and perfect place to sell/buy your gadgets. I am very satisfied with the way I had sold my used mobile at "budli.in". I am equally impressed with your vision of reducing e-waste and would surely recommend all to avail your superb service without any prejudice. Thank you again for such wonderful experience. "Keep up the good work team. I recently sold my old Nokia Lumia phone and the experience was nothing less than wow. the entire process was quite seamless and didn't require much effort. would highly recommend to my friends." It's very good way to sell used gadgets also offering good resale value. I sold my mobile phone in the most easiest way possible. Thanks to helping Customer Care, free home pick up and reasonable valuing. "Budli assessed the genuine value of my phone and provided me an overall smooth experience of selling my device. They are very committed to buy at the time of order booking, if the information provided by you is correct. Was a nice overall experience. Will keep coming back on your site." Sold my android one phone through Budli.in. Their service is top notch and the prices they quote are also very good.. Simplified process. Used Budli.in and sold my used smartphone and got 1k more as compared to others out there like cashify. Just got my old gadget exchanged for cash through Budli.in. In short: -> Seamless experience -> Prompt Service -> Faith developed. Thank You Budli for your wonderful option of recycling the e-waste which is need of the hour in the country like ours where e waste is one of the major issue.Customer care department is very cooperative and they were very friendly when I was really in need to talk to them. ALL THE BEST FOR YOUR FUTURE WORk. 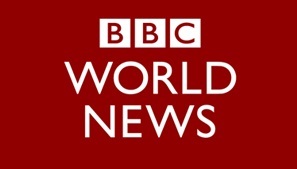 Nice, fast and easy transaction. Thanks guys, I will keep coming to you all. Really excellent service. I have received the amount in committed time. Amazingly smooth experience trading my gadgets. Timely updates was an added benefit. Thanks Budli.in. Utilized the services of Budli.in and to be true, they were hassle free. Though a bit slow but hassle free. There is a scope of improvement in the time taken for closure of the request. Sold my phone to Budli and was impressed by their professional approach.Everything from the start to the end was appreciable. Thanks. Easy way to sell your old phones. Nice experience. Hassle free transaction and easy selling. Good to do transaction with you guys. Thanks. Got my old mobile sold in no time at a good price without any hassles. Highly recommended. Thanks Budli.in. Had a delightful experience with these guys in selling my old HTC E9+. Was jittery at first, in selling my mobile to strangers but the entire process from pickup to payment was seamless and handled extremely well. The FedEx guy picked up my package literally from my doorstep and received regular updates. Finally, the payment was also higher than market prices. Very good experience dealing with Budli.in. Smooth transaction with a good price for the product. Trustworthy. Great work Budli.in. Quick in processing the amount they promised. It was my second deal with Budli.in and I am very satisfied. Your service is great and response time is fantastic! Excellent Support. Great service provided in a timely and professional manner. The whole process worked like a charm. You people are doing a great job. At the first i was very scared to send you the handset since this was my first ever experience of selling my used smartphone online. I am really glad that i got my payment within 24Hrs which at the first place was mentioned to be delivered within 3 working days. Real time status update on website's and via SMS were really helpful indeed. Customer support via email and over the phone were also pretty satisfactory. I am for sure going to recommend you to my friends and family. Thanks a lot for the prompt and reliable service ever. Offline retailers even fail to provide such an electrifying service sometimes. Thanks a tone once again. Will keep in touch for sure. I recently sold my iPod. The whole process was simple from pickup to crediting the amount. Good company. Good resale value. I had the best and hassle free experience with you guys, you simply are the best, have recommended at least 5 friends by now. Sold my tablet @Budli_in Immediate quote! No shipping cost burden on the client! Prompt payment. Had a great experience in dealing with u.
I recently sold a phone to @Budli_in . A good experience well going. Keep it up with your instant responses. Thumbs up???? Had great experience of selling gadget to @Budli_in ! Upfront quote given & same transferred to the account! Worth a shot! @Budli_in Amazing experience with you guyz...service given to me was way abve d expectations..pleasure dealing wd u...!! @Budli_in It was an awesome experience. I really appreciate your prompt services. Will surely recommend my friends. Professional support and very responsive customer relation. Thanks to Budli team for very prompt and neat service. 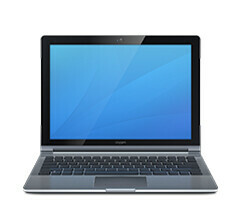 I sold my tablet and Laptop net book and was impressed with their exceptional service. Money remitted within 24 hours after they received my stuff. But most of all I liked that they contributed a part to Give India Charity which for me is more important than my stuff. Please keep up the good work. Thanks for the superb service for helping me sell my used phone. Quick , Reliable and best rate for used mobiles. I had excellent experience while selling my smart mobile. Transparent, neat & clean business so much so that I got the payment before the expiry of scheduled time. Please keep it up ! Regards, Devinder Kumar. I have sold 3 phone through budli, Very prompt & reliable service. Almost better than any market value for your used phones. 1 thing which impressed me a lot was, one of my phone model was not part of there pre listed model in the website. when I shared it through feedback mail, then they considered it to buy. Keep up the service, also slightly increase the value of used phone. Hello Team I really liked your service. Everything was so prompt, right from getting your quote to getting it picked up to making the transfer - all in a span of 3 days! Commendable effort by you guys! It was completely hassle free :) Thank you, will surely return here! It was really a fantastic experience of selling my old Mobile on Budli.IN. I got fair value & transaction was totally hassle free. One can get the highest value of its old gadget compared to other re-commerce site. They are contributing towards social welfare also. That is one more positive side of this site. HIGHLY RECOMMENDED!!! PLEASE TRY ONCE THEN BELIEVE YOURSELF!!! -- KESHWENDRA RAJPUT, Ojhar T.S. Interesting company and pretty efficient in handling entire process. Keep it up guys! Order# 14485147283087... Just sold my Asus fonepad 7 inch tablet at a very good price. Deal was finalized, tab was picked up from my home, inspected and I received the initially quoted amount all within a span of 2 days!!! Awesome service! I had sold my Sony Xperia C to Budli by Order No: 14446727082507, Initially I was a bit sceptical, as to I am sending my Cell Phone and will I be getting the money shown by Website and will I get my cellphone back. But they did!!! Not only was the service great, I would say they are one of the best in their business. They were paying higher to their competitors I searched for at that point of time, the payment was also done quickly, even before what their website claimed. The trust factor is really high now, I have already recommended Budli to many of friends, relatives. I would recommend this to everyone wanting to sell their gadget. Rating: 10/10 :-) Thanks Budli.in Team. Wish you all the best. You are doing a great job for a Greener World. Sold my Thinkpad SL500 a few days back. Budli was quick in getting back, arranging for a pickup and providing revised quotes. Overall very smooth transaction with no anxiety. Kudos to Budli :) Keep up the good work. Sold my Galaxy S3 couple of weeks back to Budli. It was a cake walk... in just 5-6 days phone was picked and money got transferred to my account. Will be selling my other 2 phones sooner....Will post feedback of those transactions as well. From my 1st selling, i highly recommend budli.  Glad to share my experience with budli.in completely secure and comfortable to deal thanks to budli.in. I sold mymobiles AUXUS NOTE 5.5 and MICROMAX A300 GOLD. They gave me good offer and paid the offered amount on 6th day of collecting them through FedEx. Sustematic procedure and fast too.I would recommend BUDLI IN to sell out your gadjet if you want to go for upgrade. Great BUDLI IN. Sold my phone & got cash within 7 days....Great Deal !! Many thanks for the prompt service. It was indeed a new experience all together. Highly appreciable. Yet again, world class initiative from Bangalore. My feedback is 5/5. Overall a very good experience. Sold my Honor 3C at a very good price. Very fast and user friendly process. Budli.in is a product of pragmatic approach and a totally practicable need to all of us. The quote provided on my device was propitious. Believe me, the local shops offered a staggering 50% less than what Budli quoted me. The overall cycle of the device being picked up from my place following the inspection on the device to the release of the payment was so proficient. I didn't even have to step out of my home. I've got to admit, I was a bit reluctant in the beginning, but with each and every email and the transparency Budli showcased, you just have to leave it to the professionals like them. I wish you folks all the very best and would like to thank each and every one who worked on this. Truly, India's first online recommerce at your doorsteps. Kudos. It was really nice transacting with you guys. It is a new effortless and seamless way to sell your old gadgets. Your service is impressive and worth recommending to others. Recycled my old phone with Budli.in. Prompt pickup. Fair payment. Smooth service. Very easy. Recommended! I recycled My Nokia N73 with Budli.in and i got money too. Happy dealing with Budli. It was smooth and a great experience to sell my iPad 2 & shall be using budli more often . I congratulate Budli for their prompt and quick response.The overall transaction with Budli was hassle free and quick, I expected the same from their courier partner but they did not and hence the process got delayed. I definitely recommend Budli to all those interested to exchange used mobile for cash. I sold my Note 1 and Samsung Wave 3 model to Budli. Thier response time was amazingly prompt and the overall experience with Budli was hassel free and seamless, I definitely recommend Budli to all those interested to exchange used mobile for cash. They give you the best price for your old mobile phones. Excellent service. Keep it up. Selling my Nexus 7 was very simple with Budli.in. The website gave me a quote and they arranged a pick-up of the devices within 2-3 days by their logistics partner. I got my payment within 3-4 days of the pick up. I would definitely deal with Budli.in again and recommend them to my friends and relatives. Thanks guys, keep up the good work! Thanks for the sale of my iPod. Appreciate the great service and promptness provided by you. The transaction was very smooth. Got a good value for my Nexus 7, 2013 32GB FHD (actually 2x of what the retail guys offered me). The courier guy arrived the same day after confirmation. I received the payment on the 3rd day after the device was picked from my place. Completely hassle free and trustworthy ! Had an very prompt and delightful experiencing selling my tab to @Budli_in HIGHLY recommended. Go to budli.in and sell old gadgets! A Novel Initiative. Got a fair value for my tablet. I was initially doubtful, but their professionalism and honesty cleared all my doubts. Recommended for anybody trying to replace their older multimedia device. Thank You for the convenient exchange Budli. 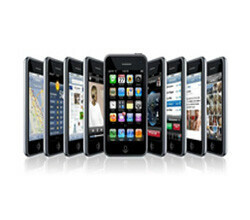 Its a excellent platform to sell ones used gadget without any hassle and without bargaining. Thank you budli, it was an easy and great experience exchanging my phone for cash. Truly appreciate the great job you are doing, because for people like me who don't have the time to go asking people if they'd like to buy my old phone, you make it so simple doing just that. Thank you once again.